OK, remember this look I posted recently? 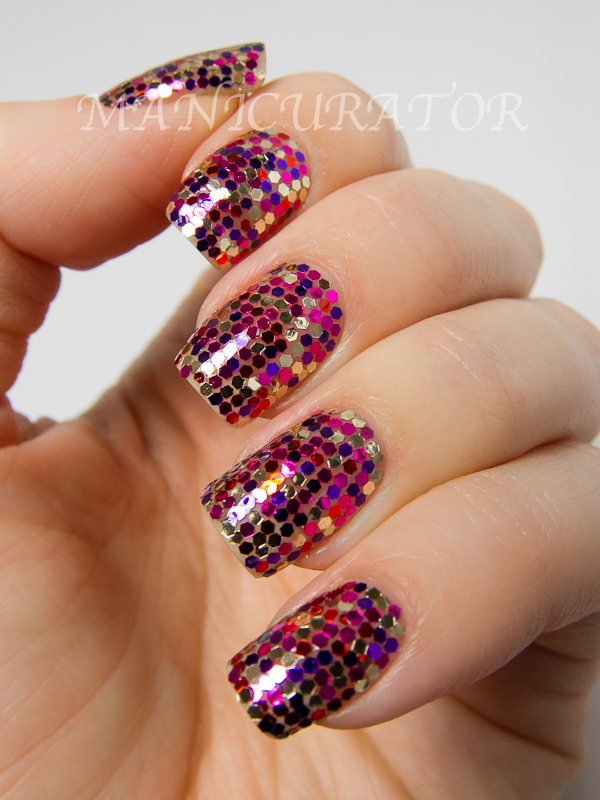 My "ornament" nail art with Ciate Sequined Manicure. I thought it was a total bomb. So I created my second attempt at it, the way I wished it turned out the first time. 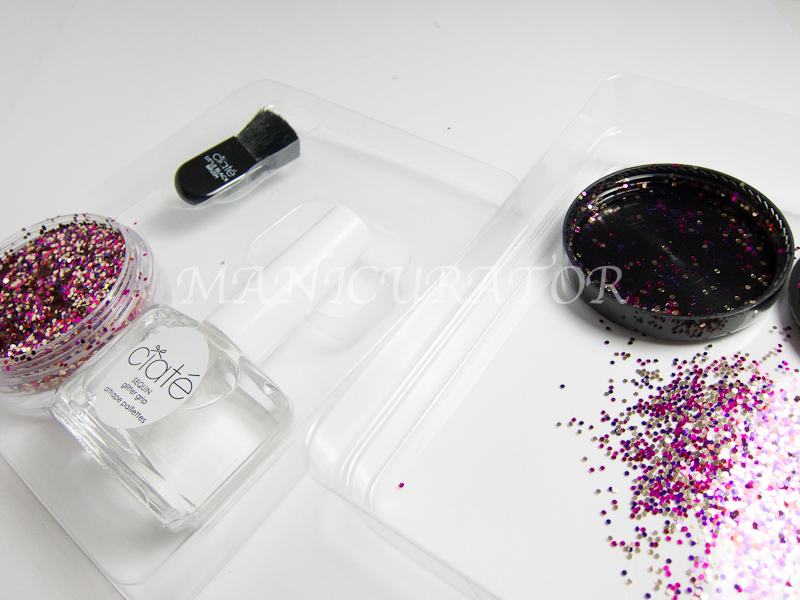 The kit comes with an ample size pot of mixed glitters. Clear nail polish and a brush (not necessary). The plastic tray it comes with is useful, but you can use anything you already have to catch the excess glitters and then pour them back into the container. This kit is $19 at Sephora and now, after I've worked with it 2 times I'm so sure you should use any clear nail polish and 2.99 containers of glitter from a craft store. Or get a package of multiple colors for 9.99. 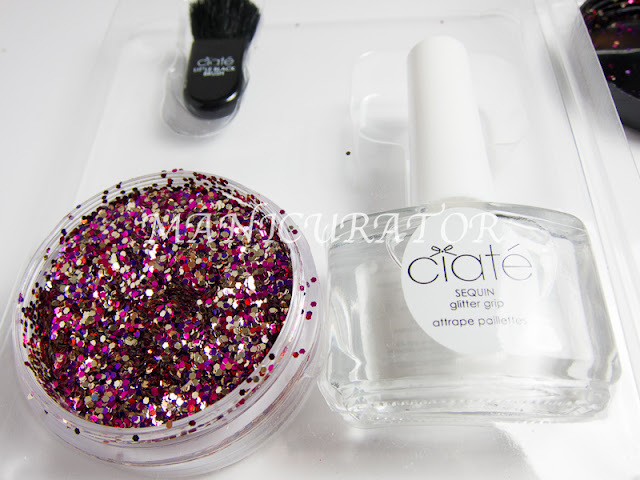 Either way, this kit from Ciate is way too expensive!! 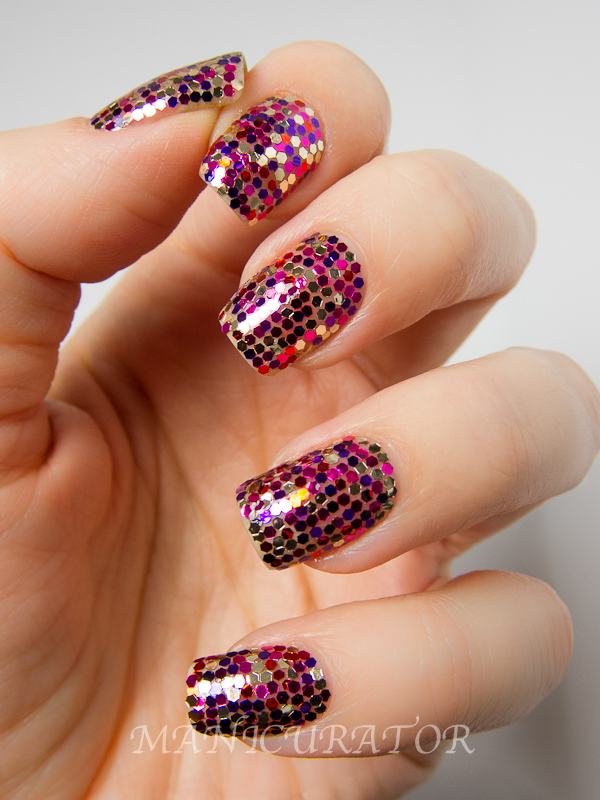 To accomplish this I simply painted each nail in clear, and then did each nail one at a time adding fresh clear (to keep nail wet so glitter would stick) using the method explained in this tutorial (scroll down to see it). this looks amazing! incredibly time consuming but amazing! It's gorgeous! But, I'm not sure I have the patience! While you find it meditative, I think I'm too easily angered...lol, if I messed it up, I'd give up haha! It's not only beautiful but you are one talented woman! One at a time placement is incredible. Stunning!!! you must have the patience of a saint! Is the product meant to be put on one at a time like that or just sprinkle over the nail until covered? Looks gorgeous! Sephora has it on sale for $13 right now, I've been debating whether or not to purchase it. I think I will, but I doubt I'll be able to do what you did! Looks really cute, worth the trouble! Holy moly that is fabulous!! I need more loose glitters so I can try this. The ones I have are too large. This definitely looks much more awesome than the first attempt at using their kit. Bravo! Amazing work! I want to try that! How long did this take? I love it so much! These are fabulous! I am tempted to get some chunky glitter from a craft store to try my hand at this. Did you have any problems with bubbles in the polish? wow!! such a festive look!!!!!!!!! No words for this one...awesome. wow ! that's STUNNING, love it ! I am impressed by your attention to detail! 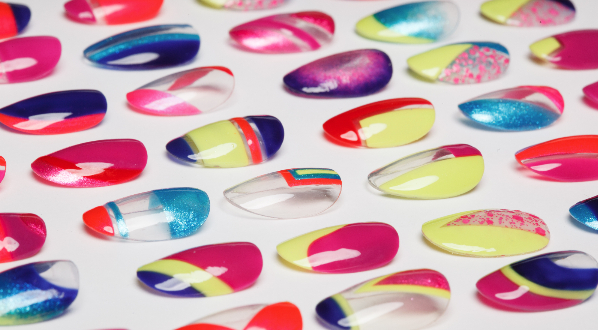 This is an eye-catching manicure- looks amazing! That's insanely awesome! Kudos for having the patience! 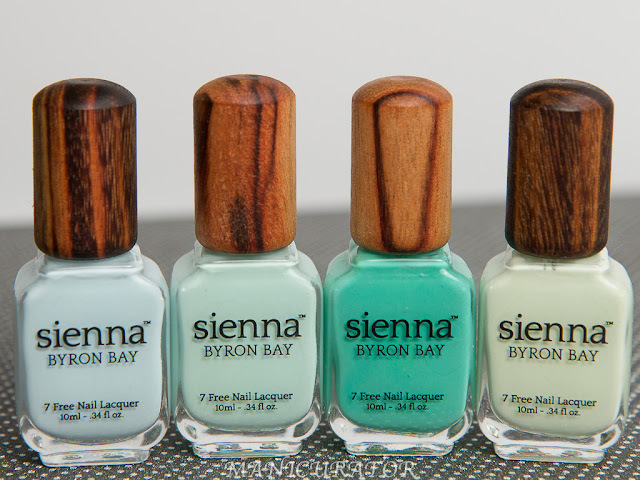 How do you take care of your nails? Or do you wear fake nails sometimes? That looks amazing! 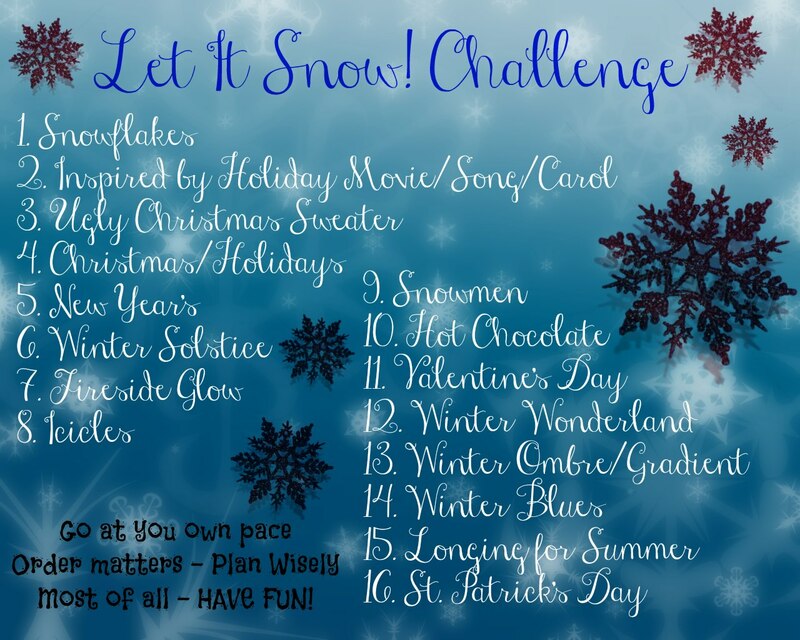 I've got to make time to try this sometime soon - fabulous! 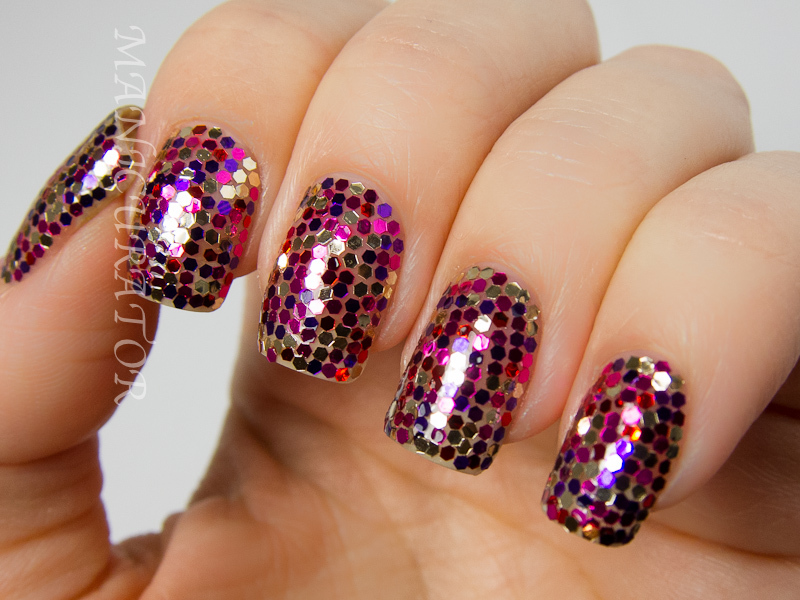 Okay, I loved the mani then - but I think I LOVE this mani more! Seriosly, did you do both hands? Stunning and I totally agree : kudos!